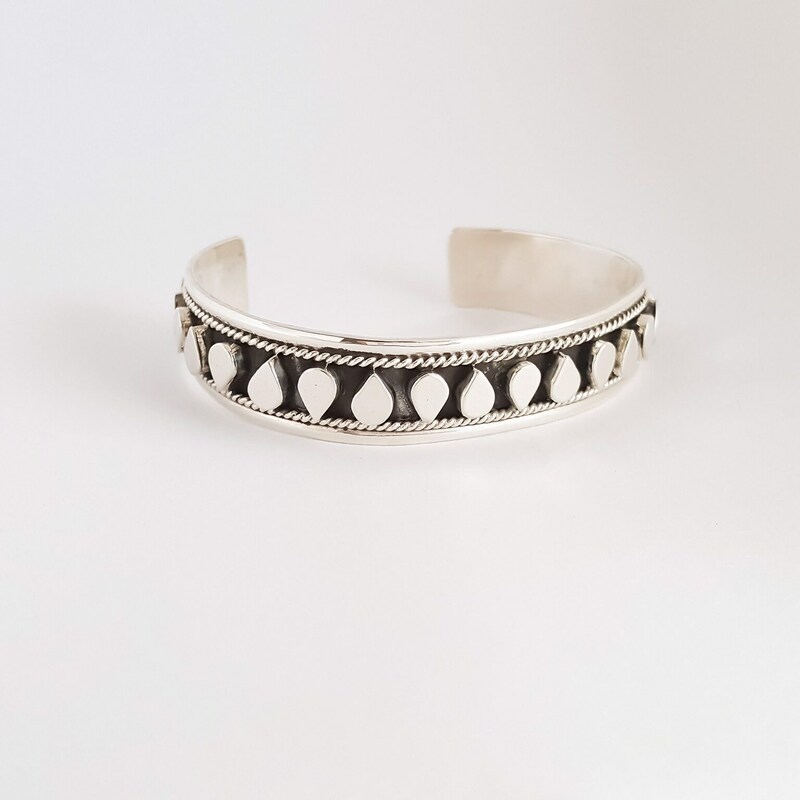 Strategically placed in an alternating pattern, the leaf shaped accents featured in the design of this handcrafted sterling silver bracelet render a uniquely fashionable pattern. 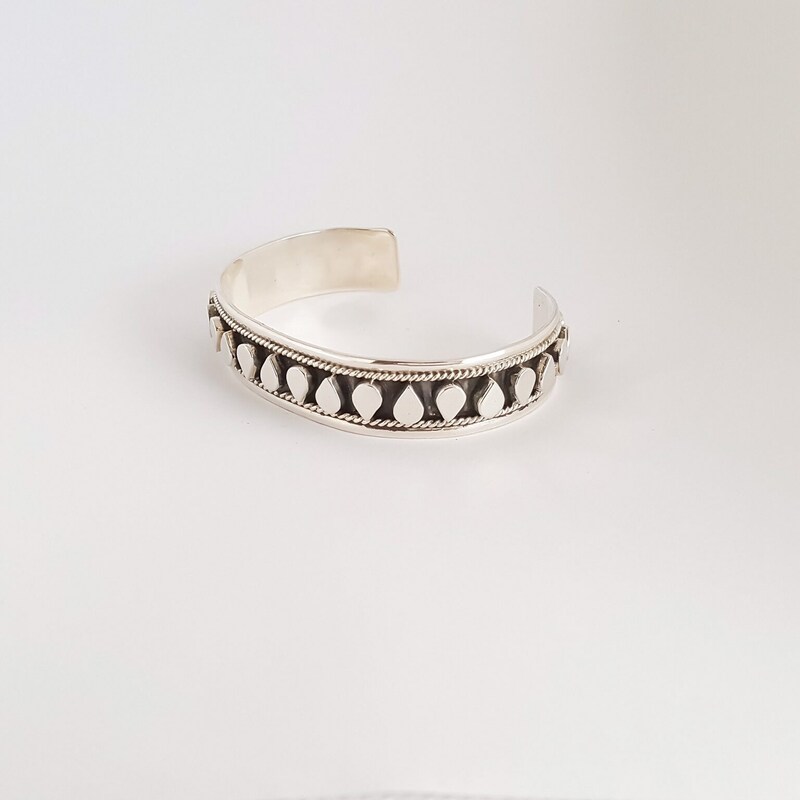 Created to be worn like a cuff bangle, the handmade bracelet is easy to pair with other accessories or wear by itself as a statement piece. 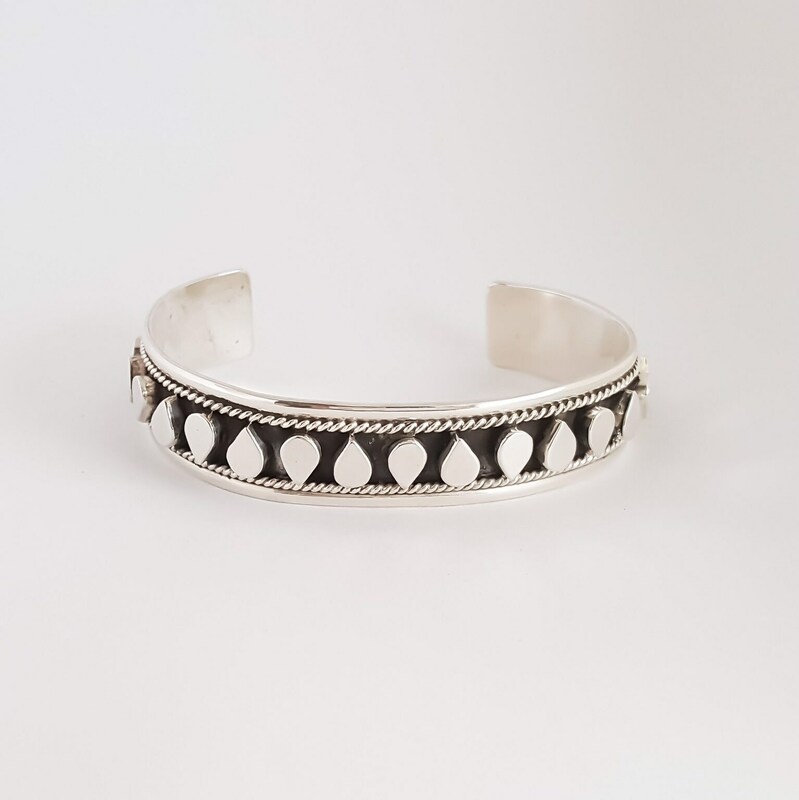 Each one of our pieces is handcrafted individually to preserve quality and add craftsmanship to your new jewelry piece. We guarantee full satisfaction or full refund.